Internet protocol television is considered as an effective technology that offers several television services through a packet-switched network although remaining within a large number of internet protocol suites. With the tremendous rise in the online traffic, the need for internet protocol television is expected to rise substantially, thus encouraging the overall development of the internet protocol television market. Moreover, the growth in the internet video advertising is expected to accelerate the growth of the global internet protocol television market over the next few years. 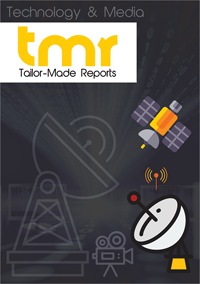 Furthermore, the emergence of new technology and advanced products are estimated to generate promising growth opportunities for the leading players operating in the internet protocol television market in the near future. The lack of verification of effective locations for servers and the lack of proper accounting are estimated to curtail the growth of the market in the coming years. In addition, the rising need to meet the customer preference is considered to act as a major barrier for the development of the market. Nonetheless, the growing need of consumers for high-quality and reliable online experience is likely to offer growth opportunities in the near future. Moreover, the rise in the use of internet and the advent of mobile CDN is estimated to accelerate the market’s growth in the near future. The developed economies across the globe are expected to offer lucrative benefits for the market players, whereas the rising population in developing economies is likely to fuel the development of the global internet protocol television market over the next few years. IPTV stands for Internet protocol television, a technology that delivers television services over a packet-switched network while remaining within the Internet protocol suites. With IPTV, smaller batches of media can now be streamed directly on customer’s devices in smaller batches. As per the International Telecommunication Union, IPTV functions over an IP-based network that enable high level of security, quality of service, reliability, and interactivity. With the widespread outreach of the Internet and direct to home (DTH) services, and technological advancements in interactive television, the global market for IPTV is projected for a robust growth rate during the forecast period of 2017 to 2025. Broadly, there are three types of services offered by IPTV: live television, time-shifted television, and video on-demand (VOD). Live television is streaming of current events broadcast on television while time shifted services allows used to replay the content after delays. VOD refers to services wherein customers select a video of choice from a catalog of videos offered by the service providers. Major components involved to deliver IPTV services include TV head-end, interactive portal, VOD platform, home gateway, delivery network, and set-top box. The two basic types of architectures used for delivering IPTV are distributed architecture and centralized architecture. IPTV is implemented using several protocols such as H.263 for video compression, modified discrete cosine transform (MDCT) for audio compression, and Real-time Protocol (RTP) for live streaming and VOD. DTH services have gain immense popularity in the recent past, which is clearly reflecting on increased demand for VOD services. Additionally, IPTV offer value added services such as e-mail, voicemail and others, which is further fueling the market. Moreover, several telecommunication services have entered the IPTV market recently, including Verizon, Vodafone, and British Telecom. These new entrants with strong financial background are expected to escalate the level of competition, which will eventually lead to reduced cost to the consumers and thereby increase the demand in the global IPTV market. However, for the proper functioning of IPTV, minimum bandwidth required is around 10 mbps of high speed Internet connectivity, which is not available all across the globe. This is the solitary restraint over the growth rate of the global IPTV market, although the effect of this factor is expected to reduce over the duration of forecast period as several next-generation spectrums are being launched by several governments. IPTV market can be segmented on the basis of end-users and geography. Corporate consumers and individual consumers comprise end-users. Currently, corporate consumers serve the maximum demand but, with improving network infrastructure, the segment of individual consumers will also escalate significantly during the forecast period. Geographically, the report studies the lucrativeness of the regional markets of North America, Europe, Asia Pacific, and rest of the world. Though the developed countries in North America and Europe are currently serving the maximum demand, vast population base in Asia Pacific is expected to surge ahead in terms of demand towards the end of the forecast period. AT&T, Cablevision, China Telecom, Comcast, Bharti Airtel Limited, Reliance Communications Limited, Bharat Sanchar Nigam Limited, British Telecom, Deutsche Telecom, Etisalat, France Telecom, Telecom Malaysia, NTT DOCOMO, Telenor, Verizon, and Vodafone are some of the key players currently operational in global IPTV market.